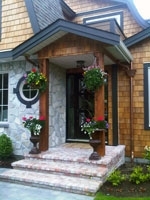 There are many reasons to fix up the exterior of your Vancouver home. Need more curb appeal to help you sell faster? Roof or driveway need replacing? Or do you simply want a new design? We have a variety of options for the exterior of your home to make it more appealing to the most important critic - you.